Electric toothbrushes are an easy way to receive a more deep and thorough cleaning each time you brush your teeth. 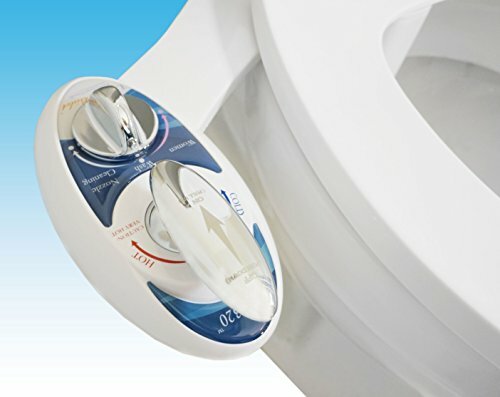 These products boast a large array of features to help you improve your dental hygiene such as built-in timers, sonic technology and pressure sensors. To help you narrow down the countless options available, our team conducted extensive research to discover the best electric toothbrushes for adults and kids. For each product, we list the specifications, key features and other considerations. If you don’t know what features to look for, what type of electric toothbrush you need or you have specific dental needs, check out our buying guide below to learn more. Read more about our methodology. The Sterline Sonic ST-OR-T50 will help you get a deep clean each time you brush your teeth. Its sonic technology provides more than 31,000 brush strokes per minute and its three modes help you choose the right setting for your teeth’s specific needs. Clean more teeth in a shorter period of time with the Balance Sonic Electric Toothbrush. You can enjoy four cleaning modes, timers and a compact design without paying a fortune. Experience up to 35,000 brush strokes per minute with this electric toothbrush. 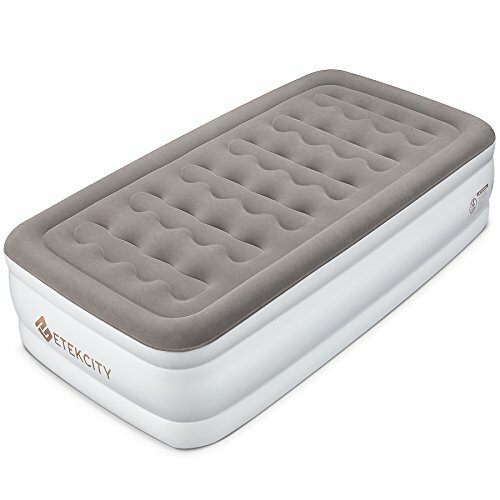 Its lightweight and compact design makes it ideal for traveling and its long battery life is hard to beat. Make your kids excited to brush their teeth with an interactive app, Bluetooth technology and customizable stickers. This electric toothbrush not only makes brushing teeth fun, but with its sonic technology, it cleans between teeth and covers more surface area in less time. Receive real-time feedback on your brushing habits with this smart electric toothbrush. 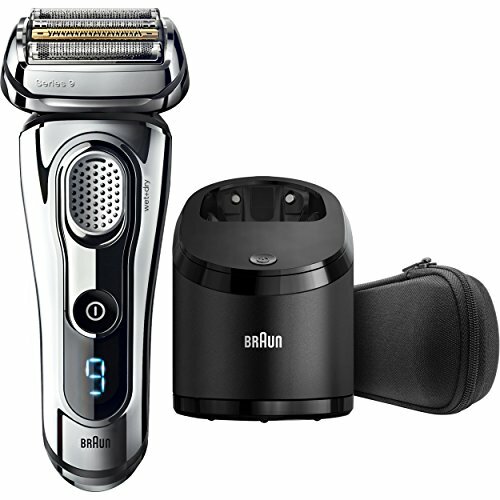 Bluetooth technology, a pressure sensor and a unique design helps this brush stand out from the others. 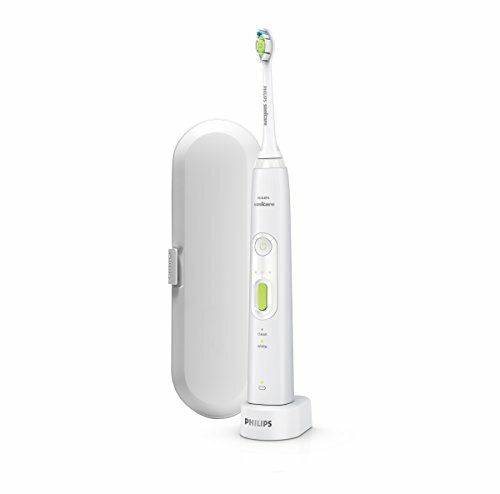 Easily clean around brackets and wires with the diamond-shape bristles on the Philips Sonicare Healthywhite+. Three settings, a long battery life and sonic technology makes this electric toothbrush a winner for those who need a little extra help when brushing their teeth. Electric toothbrushes perform thousands of brush strokes per minute, allowing you to get more coverage in a shorter amount of time. In comparison, manual toothbrushes get an average of 300 brush strokes per minute. The speed of the toothbrush varies by model, but the faster models are more effective at cleaning bacteria and plaque from your teeth. Sonic toothbrushes — which are some of the fastest toothbrushes available — are also some of the most expensive models. Electric toothbrushes should have an ergonomic handle that is non-slip and a lightweight design, allowing you to easily hold the toothbrush for at least two minutes. Lightweight toothbrushes are ideal for traveling or for younger children. In addition to the speed and design of the toothbrush, you should consider how the toothbrush cleans teeth. Electric toothbrushes will vibrate, rotate or oscillate to clean. A rotating electric toothbrush turns the bristles around in a circular pattern, similar to how you would brush your teeth using a manual toothbrush. These products help prevent gingivitis and are excellent at removing plaque and tartar from teeth. A vibrating electric toothbrush vibrates the bristles against your teeth, which breaks up plaque, cleans and polishes teeth. However, you must be careful you don’t apply too much pressure with this type of toothbrush. With an oscillating electric toothbrush, the bristles quickly move back and forth, helping you focus on the surface of each individual tooth. No matter how powerful your toothbrush is, if you don’t take the time to brush your teeth, you will still have an ample amount of plaque and bacteria in your mouth. Many electric toothbrushes feature a two-minute timer — the recommended amount of time to thoroughly brush your teeth — and a Quadpacer, which prompts you every 30 seconds to clean another quarter of your mouth. More advanced products feature sensors, such as pressure sensors, that will notify you when you press too hard or brush too vigorously on your teeth and gums. Many newer electric toothbrush models provide rechargeable batteries. However, the battery life of these products varies greatly depending on the size of the toothbrush, the cost and even the brand. Some of the best products can last at least 30 days on a single battery charge. Be wary of electric toothbrushes that require a power cord, as the long cord can get in your way and discourage you from using the toothbrush. For less than $30, you can get a basic battery-powered electric toothbrush. 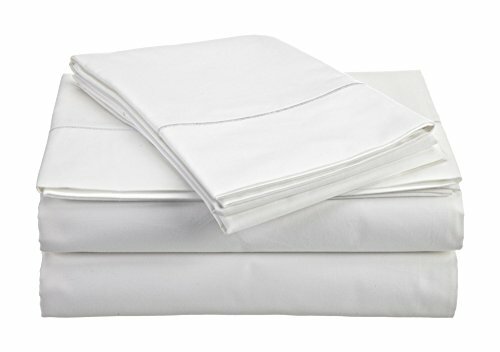 These products vary in their cleaning method, battery life and feature set. These budget-friendly electric toothbrushes typically provide few accessories and have a short lifespan. Electric toothbrushes greater than $30 will typically offer timers or sensors to help you get a deep clean each time you brush your teeth. 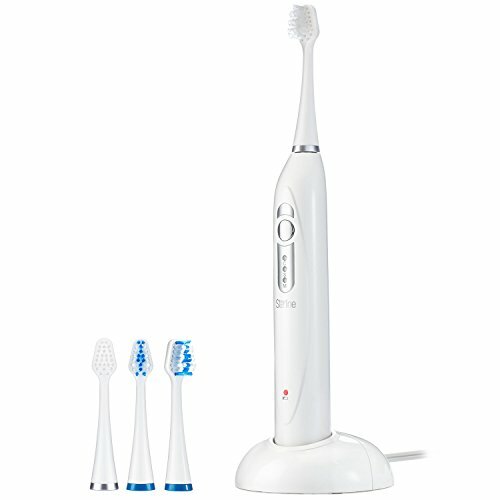 Electric toothbrushes great than $50 usually boast numerous accessories including extra heads. These higher-priced toothbrushes may offer smart features such as Bluetooth technology and interactive apps. The Sterline Sonic ST-OR-T50 is an excellent option for anyone who wants to improve their dental hygiene. It boasts sonic technology, soft bristles and three cleaning modes, to deep clean even the most sensitive teeth. Additionally, its long battery life lets you go more than two weeks on a single battery charge. Even more, this Sterline electric toothbrush stands out with its included accessories — four brush heads and a charging station. Up to 31,000 brush strokes per minute. This toothbrush features sonic technology, which effectively cleans more plaque and bacteria off your teeth in less time. The sonic technology also reaches those hard-to-clean areas of your teeth, helping you get a deeper and more thorough cleaning. Long battery life. This toothbrush lasts a minimum of two weeks on a single battery charge. Plus, when the battery life starts to dwindle and you lose enough power for optimal performance, a low battery indicator light will alert you. Three brushing modes. This electric toothbrush works well no matter your dental needs. A clean mode is ideal for everyday cleaning, a soft mode is best for users with sensitive teeth and a massage setting stimulates your gums. Several included accessories. No need to purchase many additional products for this toothbrush. Included in this product’s box is the electric toothbrush, charging base, four brush heads and a user manual. Few products offer many included accessories unless accompanied by high price tags. Long two-year warranty. A one-year warranty is common among electric toothbrushes, but this Sterline electric toothbrush beats it. Its long two-year warranty ensures you won’t be buying a new product in a few months and proves the company stands behind their product. Included brush heads have a short lifespan. While this product does boast four brush heads, many users report the brush heads don’t last long and you will need to replace them often. Additionally, other brands will not fit this product and you will need to purchase Sterline replacement brush heads. If you want a deep clean but have specific dental needs, the Balance Sonic Electric Toothbrush is for you. This powerful device costs less than $20 and features sonic technology, boasting 80,000 brush strokes in a 2-minute cycle. 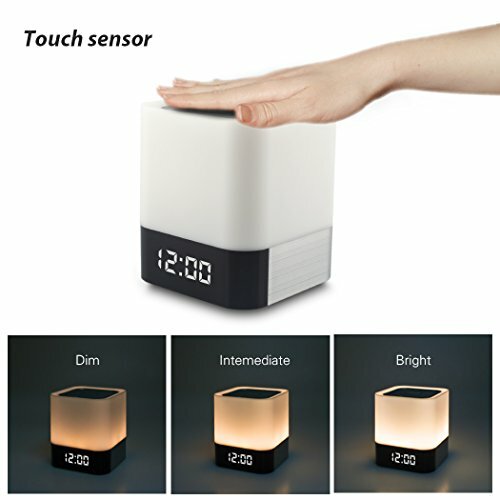 It features four modes to help you clean even the most sensitive teeth, and timers help you clean your entire mouth in the recommended amount of time. Versatile for all teeth. The four cleaning modes — clean, whiten, sensitive and massage — ensure no matter your specific dental needs, you can improve your oral health. Timers and reminders. Dentists recommend brushing your teeth a minimum of two minutes and this toothbrush’s two-minute timer helps you do just that. Plus, quadrant reminders — one every 30 seconds — notifies you when it is time to clean a different area in your mouth, ensuring that all your teeth get the same attention and focus. Easy to clean. The brush heads easily pop off the handle, allowing you to easily rinse them after each use. This also makes for replacing the brush heads a quick and easy process. Durable design. The bristles on this electric toothbrush are made from American-made Dupon Tynex, which keeps them strong even after several uses. The brush heads also feature a rubber head guard, which you can use to scrub the inside of your mouth and tongue to get rid of unwanted bacteria. Uncomfortable at first. Many users report this electric toothbrush has extremely strong vibrations. 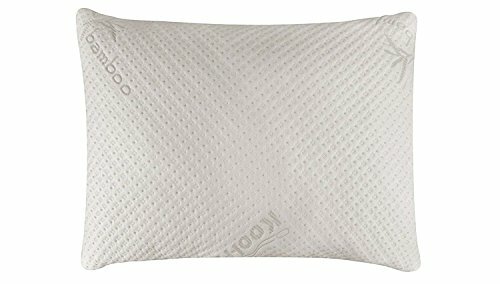 Many users recommend using this device on the sensitive setting for some time before using the clean mode, to become familiar with the robust vibrations of this product. If you want a better cleaning each time you brush your teeth, you should consider a sonic electric toothbrush. These brushes vibrate 30,000 to 40,000 brush strokes per minute, and provide so much motion that fluids such as toothpaste, water and saliva easily find their way into tough-to-clean areas in your mouth. Many sonic toothbrushes feature built-in timers and will automatically shut-off after brushing for a specific length of time. 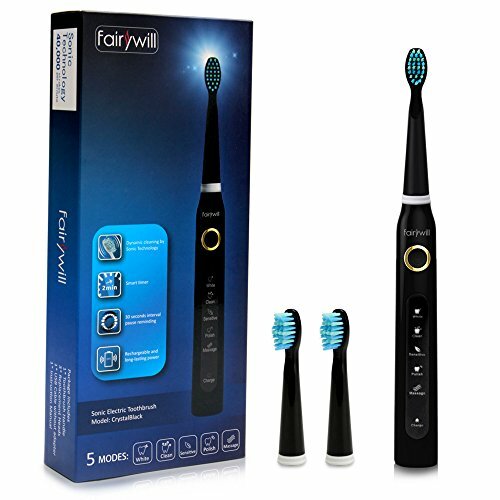 The Fairywill Crystal Black Electric Sonic Toothbrush is ideal for those who are frequently on the road. It features a small, lightweight design that is perfect for traveling and its long battery life ensures you have optimal performance, without constantly charging it. It also boasts tooth-waved bristles and 35,000 brush strokes per minute, helping you clean your entire mouth, even those hard-to-reach and cavity-prone areas. Fast and powerful motor. This Fairywill electric toothbrush boasts 35,000 brush strokes per minute, which creates so much movement that the fluids in your mouth will clean the hard to reach areas between your teeth. You can also choose between five different settings, ensuring that no matter how sensitive your teeth may be, you will receive a deep cleaning each time you use this toothbrush. Lightweight and user-friendly design. Weighing approximately 2 ounces, this toothbrush is extremely lightweight, making it easy to hold for long periods of time. It boasts a non-slip handle and tooth-waved bristles, which are made from Dupon nylon, making them durable, yet gentle on your teeth and gums. Up to 30 days on a single battery charge. The battery life on this electric toothbrush is difficult to beat. The Fairywill Crystal Black can last up to 30 days on a single battery charge and even better, charging your toothbrush isn’t an all-day process. You can fully charge the battery within four hours. Extremely Quiet. While many electric toothbrushes have a loud motor, this electric toothbrush is relatively quiet. 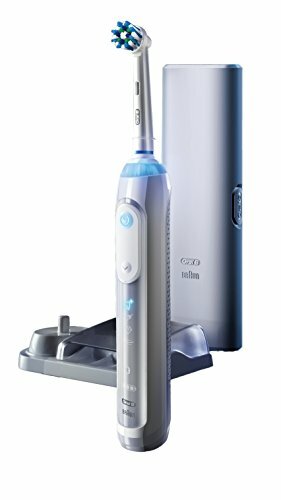 Many users praise the quiet design of this electric toothbrush, particularly when compared to other electric toothbrush products they previously owned. USB Charging. There is no charging stand for this electric toothbrush. To charge the toothbrush, you use a USB cord and connect to a USB port, instead of to an AC wall outlet. While this may not be an issue for some users, it can be an annoyance for those who just want to plug the toothbrush into the wall. Small brush heads. The brush heads for the Fairywill Crystal Black are small when compared to brush heads offered by similar products. Many users said the brush heads were too small for an adult and designed more for a child. 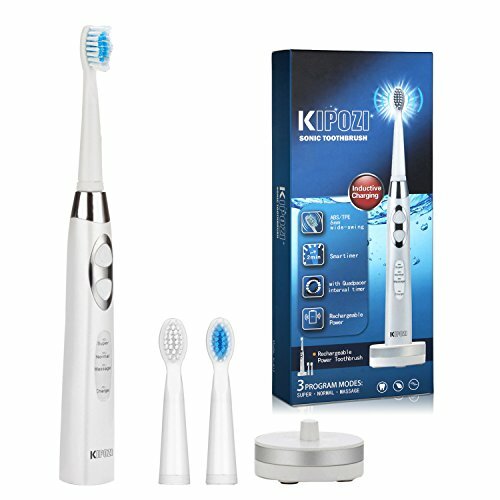 The KIPOZI electric toothbrush is a fast device at 25,000 micro brush strokes per minute. It boasts three modes and a lightweight design, making it an ideal option for all users who want to see fewer cavities and less plaque buildup each time they go to the dentist. This toothbrush boasts a timer and quadrant alerts, as well as a pressure sensor to ensure you aren’t placing too much pressure on your gums and teeth. Triple pressure sensor. To keep your gums healthy, a pressure sensor will alert you when you’ve overbrushed your gums. This keeps your teeth and gums in optimal health and prevents causing unnecessary damage by such a powerful device. Uses sweeping motion to clean teeth. To ensure the surface of your teeth are clean, this toothbrush uses a back and forth sweeping motion to rid your mouth of bacteria and plaque buildup. The bristles feature a tooth-waved design, helping you easily reach into your teeth’s grooves and crevices. Smart timer. A two-minute timer helps you brush your teeth for the recommended timer period, without constantly looking at your watch. Additionally, a Quadpacer will notify you every 30 seconds when it is time to clean a different area in your mouth, helping you clean every inch of your mouth. Requires USB port to charge. You must plug this sonic electric toothbrush into a USB port to charge. It does not plug into an AC wall outlet, which can be a bother if you want to charge this product while it sits on your bathroom counter. Doesn’t feel durable. While the lightweight and small design is a benefit to an electric toothbrush, several users complain that this electric toothbrush is so lightweight that it doesn’t feel like it had enough power to do a thorough cleaning. Ignite your children’s excitement and make them want to brush their teeth with an electric toothbrush for kids. While many of these products feature smaller bristles and handles, they also boast colorful designs and characters to stir your child’s enthusiasm for dental hygiene. Many products in this category feature music and timers to keep kids brushing for at least two minutes. The Philips Sonicare for Kids is an electric toothbrush that makes brushing teeth fun and educational for kids of all ages. Using its Bluetooth technology, this toothbrush syncs to an interactive app to excite children and make brushing a more interactive experience. Plus, it boasts up to 30,000 brush strokes per minute with its sonic technology, and a timer helps your kids brush for the recommended 2-minutes with less of a fight. Sonic technology. Boasting up to 30,000 brush strokes per minute, children could use the extra help to clean their teeth, particularly in those hard-to-reach areas. The sonic technology, also helps your kids receive a deeper clean in less time. Bluetooth technology. Sync the toothbrush to a free interactive app that makes brushing teeth more exciting than using a manual toothbrush. The app rewards children for their oral hygiene habits and helps you keep track of your kids’ daily brushes. Interchangeable stickers. Included with this electric toothbrush are eight stickers that your kids can place on the toothbrush, adding color to the brush and making it their own. Two-minute timer. You can keep your kids brushing for the recommended two minutes with fewer fights using the built-in timer. It also tells your child when to clean a different area of their mouth, ensuring the entire mouth is brushed thoroughly. May be too large for smaller children. While this electric toothbrush is designed for children of all ages, its brush heads and bristles are larger than comparable products. Many users say younger children have a difficult time using the brush heads in their smaller mouths. You will still need to assist younger children. The power of this toothbrush can cause damage to young children’s teeth and gums without proper supervision. Young children — such as two and three year olds — may still need you to brush their teeth for them, to ensure they don’t cause unnecessary damage. 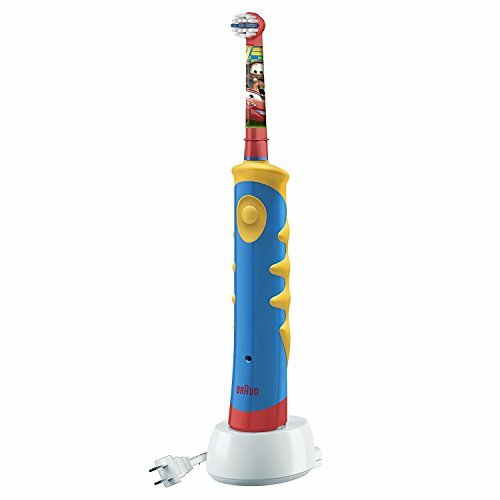 The Oral-B Kid’s Power Rechargeable Toothbrush is perfect for younger children with its small handle and softer brushes. It also plays 16 melodies, helping kids stay focused as they brush their teeth. This electric toothbrush for kids includes an app for your mobile devices, where characters help kids brush for the recommended amount of time. Unfortunately, you will want to keep a close eye on the battery of this device. While the company says it lasts up to 5 days, many users say otherwise. Design ideal for smaller hands. This toothbrush is the perfect size for younger children. It boasts a small ergonomic handle, as well as small, soft head brushes that easily fit in the mouths of younger children. 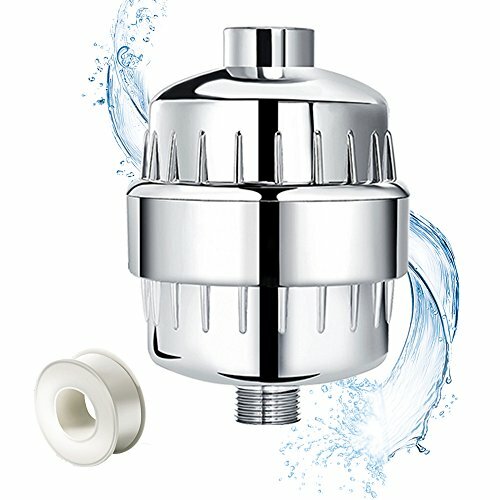 Uses Oscillating-Rotation cleaning method. The bristles on this toothbrush quickly move back and forth, providing a more focused and deep clean on each individual tooth. Plus, the rotation movement helps remove tartar and plaque build-up from your child’s teeth, helping regular dentist visits go much smoother. 16 different melodies. To make brushing teeth a little more exciting for young children, you can choose between 16 different melodies that will let children know when it is time to move from one area of the mouth to the next. Plenty of character options. 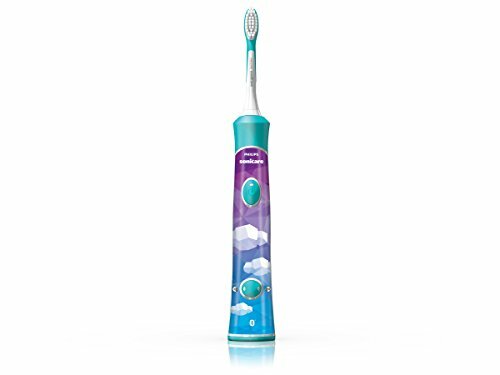 This electric toothbrush features many well-known Disney characters, helping excite children and make them more willing to use the brush their teeth. Short battery life. Oral-B claims the battery life on the Oral-B Kid’s Power Rechargeable Toothbrush lasts up to 5 days on a single battery charge. Many users found this untrue, and report have to charge it every night to ensure optimal performance. Expensive replacement heads. This product comes with only one brush head. You will need to purchase additional replacements heads for this toothbrush which are considerably more expensive than other electric toothbrushes. Brushing your teeth can be an interactive experience with a smart electric toothbrush. 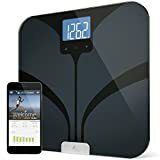 You will want to buy a product in this category if you desire Bluetooth connectivity. You can track your brushing habits and receive real-time feedback all from your mobile device. Pressure sensors also quickly alert you when you are pressing too hard, preventing any damage to your gums or teeth. If you want an electric toothbrush with all the bells and whistles, you need the Oral-B 6000. This toothbrush is ideal for users who want real-time feedback on their dental hygiene. The toothbrush syncs to a mobile app using Bluetooth technology. It boasts five powerful settings and a round, CrossAction head that helps get between teeth and cleans the surface of each individual tooth. A pressure sensor also ensures you don’t over brush your teeth and gums, causing unnecessary damage. Receive real-time feedback. 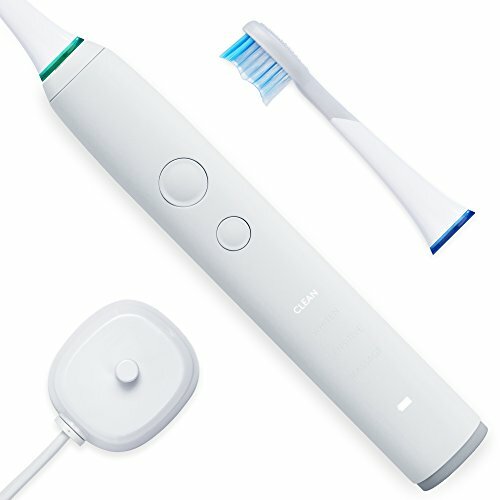 Using Bluetooth technology, this toothbrush connects to an app you download on your mobile device. This mobile app provides real-time feedback about how long you brushed, where your brushed and other data about your oral hygiene habits. Unique round brush head. The brush head on this electric toothbrush sits at a 16-degree angle, which helps it more easily reach between your teeth. The brush head is round with crisscross bristles, which help give each tooth a more focused cleaning. Additionally, the brush rotates, pulsates and oscillates to remove bacteria, plaque and tartar and keep teeth polished and white. Color notifications. The SmartRing alerts you of your timing and pressure, using a light that goes around the entire toothbrush. You can even customize the color of the ring using one of 12 different color options. Five cleaning modes. While many basic electric toothbrushes only provide three cleaning modes, the Oral-B Pro 6000 offers five. These settings not only help provide a deep clean for normal and sensitive teeth, but a whitening setting helps remove stains, a gum care setting helps stimulates your gums and a Pro-Clean setting helps receive a deeper, more intense cleaning. The app isn’t useful for strong brushers. If you already have strong dental hygiene habits, you may find the interactive app isn’t very useful. It provides basic information such as the length of time you brushed your teeth and how often your brush your teeth, which if you already follow all dental recommendations, a history with this information isn’t necessary. If you have braces, you need to buy a toothbrush that is easy to get between and around your wires. These brushes have an ergonomic head and soft bristles that gently clean around the braces. The best products also feature a Quadpacer, which is a timer that pulses every 30 seconds to ensure you clean each area of your mouth — including between wires and around braces — without feeling rushed and pressured. The Philips Sonicare Healthywhite+ is a strong choice for individuals with braces due to its unique bristles and brush heads. It boasts small brush heads that can easily clean around brackets, and its diamond-shaped bristles can easily reach under wires. Additionally, it boasts sonic technology and six settings so no matter what other dental needs you may have, this electric toothbrush can get the job done. Small and diamond-shaped bristles. The brush head on this toothbrush is small, letting you more easily clean around brackets and the inside of your mouth. The bristles on this brush head are diamond-shaped, which helps you reach under wires while effectively removing bacteria from your mouth. Six Settings. This toothbrush boasts two different cleaning options: clean and white. The clean setting deep cleans your teeth while the white mode helps remove stains and other discoloration from your teeth. Once you have chosen the type of cleaning mode you desire, there are three intensity options available. Strong battery life. Enjoy up to three weeks on a single battery charge with this electric toothbrush. Plus, the charging base is small and will take up little space on your counter. Great for on the go. This electric toothbrush includes a travel case, making it easy to take on vacations or carry in a backpack and brush your teeth after lunch at school. Very loud. While some electric toothbrushes are louder than others, one of the greatest complaints about this product is its loud motor. Some users said it was so loud they could hear it through walls. Slippery design. While the bristles and brush head on this electric toothbrush are top-notch, the handle could use some improvement. The handle is made from plastic and can become extremely slippery when wet.